It’s that time of year again, when watching players in the Florida (or Arizona) sun stretch, sprint and work on their skills creates a sense of optimism for anybody regardless of wherever they might call home. Everyone’s team, everyone’s pride and joy, looks good and no one is worried about where they will ultimately finish in the standings. It’s the perfect escape from winter. Major League Baseball is doing everything it can to integrate into the 21st century. As other major professional sports have, MLB is taking advantage of new and emerging technologies to connect with fans and provide unique experiences. 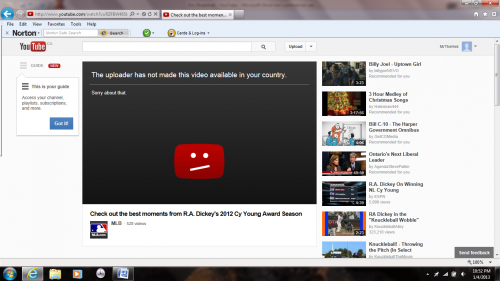 YouTube alone lets you re-live all of the greatest – and not so great – moments in recent memory. Have a half hour to kill? Take a look for yourself. When it was announced last week that Tom Cheek had won the Ford C. Frick Award and would finally take his place in Cooperstown, Canadian baseball fans threw up a collective cheer. 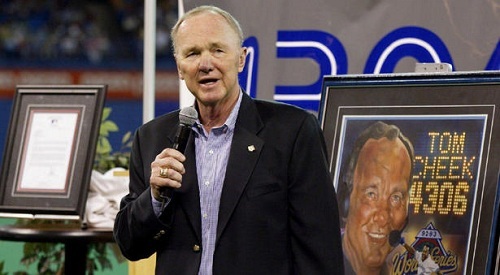 Cheek, the long-time voice of the Toronto Blue Jays, was a cherished man who was credited as being the “voice of summer across Canada,” right up until his passing in 2005. Eric Rosenhek adds his words to the thousands who’ve praised Cheek in recent days. The CFL is proudly touted as Canada’s brand of football. Heck, it’s in the name. 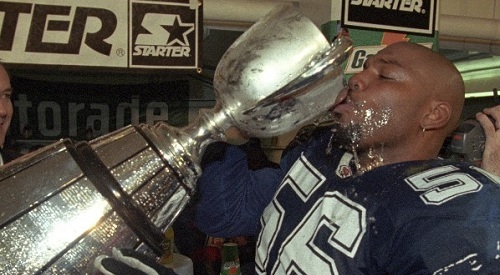 But as the 100th awarding of the Grey Cup is celebrated this month, Eric Rosenhek looks back to 1995 when the Baltimore Stallions became the first and only American franchise to win Canada’s coveted trophy – only to relocate to Montreal in the following offseason. 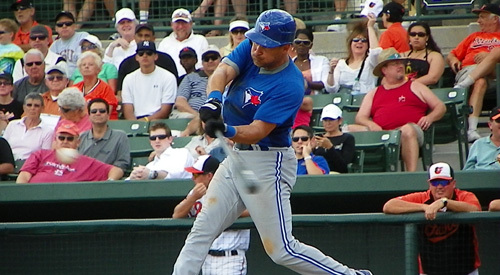 Despite a relatively-short career, former third baseman Kelly Gruber established himself as a fan favorite in the hearts and minds of the Blue Jays faithful. As a member of Toronto’s first World Series championship team, Gruber released an auto-biography regarding his life in, and opinions on baseball. While not terribly revealing, the book does shed some light on the career of the all-star third bagger. After a fine start to the season, things could not have gone much worse for the New York Mets. An abysmal July has all-but-ended their season, and it’s now time for the team and fans to look to 2013. 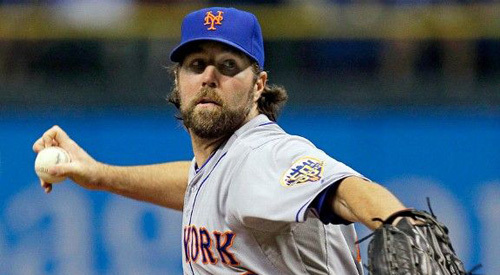 With the likely returns of R.A. Dickey and David Wright, things may not be so bad. Recently, The Good Point’s Eric Rosenhek had a chance to attend a free Cleveland Browns practice as part of a multi-city sports road trip. As his first foray into the world of the National Football League, he was immersed in a land of brown and orange. It was an eye-opening first in-person experience with the NFL. For most of you reading this, there’s a good chance that Omar Vizquel has been in professional baseball longer than you’ve been alive. That’s a remarkable feat. The sure future Hall of Famer recently announced that he’ll call it a career at the end of this season, so when the Blue Jays come to town, make sure you steal a look at Vizquel, the man who embodies baseball’s youngest spirit. 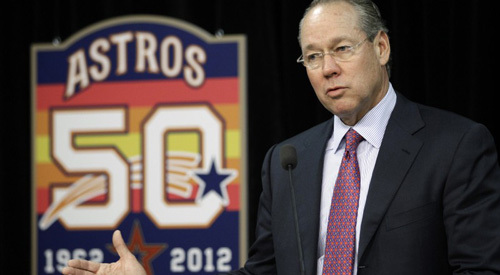 Celebrating their 50-year anniversary, the Houston Astros are preparing for a monumental move to the American League in 2013. 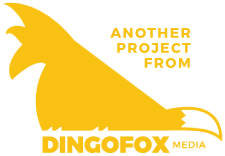 They haven’t had the most successful past and are currently struggling in the NL Central, but a move to the AL West may go a long way to turning around the fortunes of this suddenly-storied franchise. 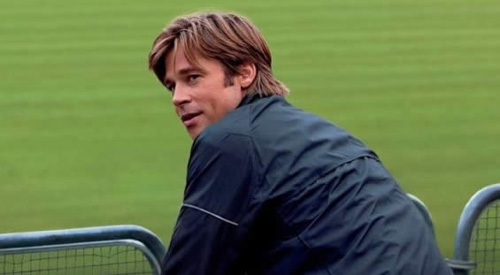 Michael Lewis’ 2003 book “Moneyball” changed the way many baseball fans considered team management, much like how Billy Beane himself changed the GM position. In 2011, the book was adapted for Hollywood with superstar actor Brad Pitt taking on the lead role, but does he and director Bennett Miller do justice to this real-life story?